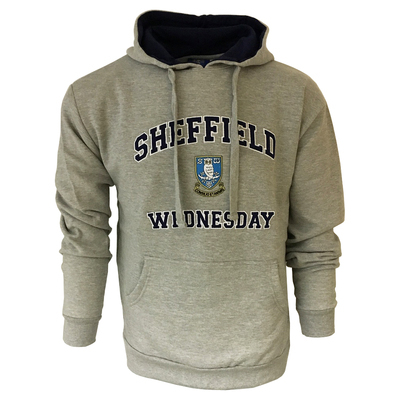 Poly/Cotton mix varsity style hoody. Grey marl with navy hood lining. Fleece lined. 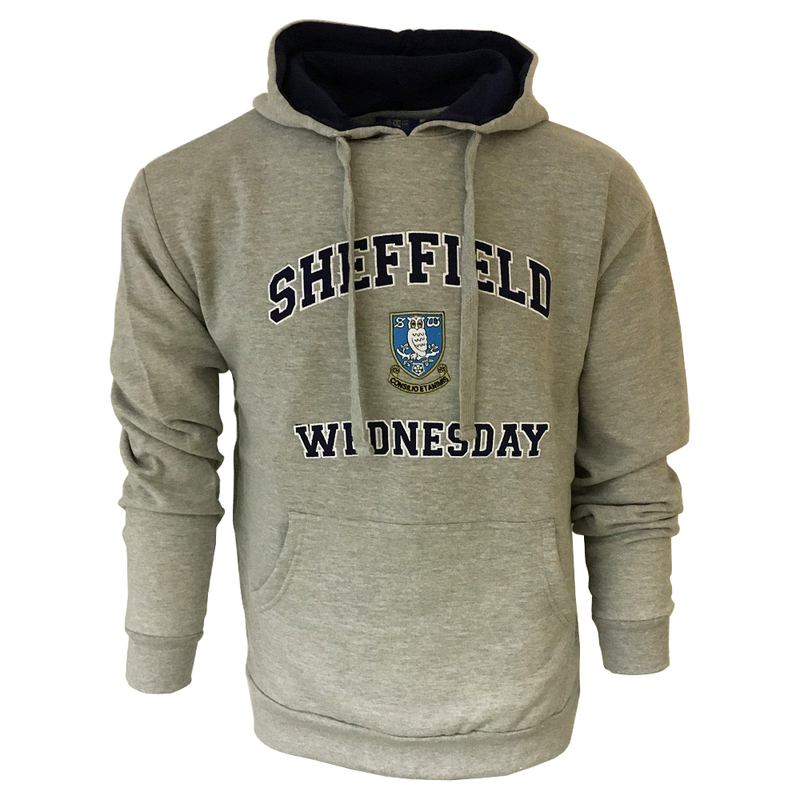 Features direct crest embroidery with woven/embroidered text.